Do you see FeLV or FIV in the Veneta area? 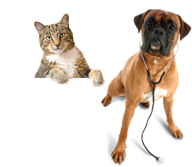 Feline Leukemia Virus (FeLV) and Feline Immunodeficiency Virus (FIV) are still a regular occurrence in the cats we see. 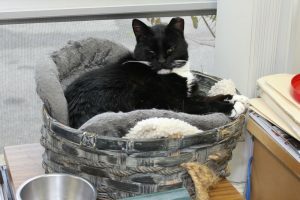 The Veneta Veterinary Hospital saw 13 cases of FIV and 11 cases of FeLV in 2011, with similar numbers in 2012. We are especially concerned about these viruses because once a cat is infected, there are no known cures. We want people to know the importance of checking any new cat or kitten before introducing them to their new feline family. A simple 10-minute blood test can detect infection long before signs of illness are seen. We have heard many people say their cat can’t have FeLV or FIV because they look healthy. The truth is cats sometimes look healthy for years before their immune system is weakened enough for you to notice. In the meantime, they can spread the disease to your other cats. How do cats get infected with FeLV or FIV? This can happen either in utero when their mother has the virus, or through a bite wound from an infected cat. Outside cats are much more likely to acquire the infection because they have exposure to neighborhood cats. If they are bitten by the wrong cat, they could be infected with FeLV, FIV or both. You can protect your cat from getting FeLV with a simple annual vaccination. Unfortunately, we do not have a good vaccine for FIV. What do I do if my cat has FeLV or FIV? The answer to this question is different for everyone. We know that cats can live with either virus for years before it compromises quality of life. These years can be very fulfilling for the cats and owners. There are some special considerations, such as more aggressive medical therapy if illnesses arise, and regular dental care becomes even more important. One big concern, however, is preventing the spread to other cats. Vaccination will help for FeLV, but not FIV. We recommend that cats with FeLV or FIV not be let outside unless there is an enclosure that will prevent contact with other cats.